In our penultimate look at our Best Jazz Albums of 2014, we have an artist who appears twice; once at the front of his familiar Afro-Latin Jazz Band and again as a part of a newly formed “super-group”. We also have a remarkable vocalist, who records far too infrequently, delivering another impressive album. A teacher-student pairing has borne fruit that is musically delicious. And a hardworking big band sideman takes the reins and shows how well he can perform when in the driver’s seat. The Offense of the Drum – Arturo O’Farrill (Motema) The son of Afro-Cuban Jazz royalty produces his most eclectic album to date and in doing so, breathes a bit of freshness and excitement into a genre that has grown somewhat stale. Special guests such as harpist Edmar Castaneda (“Cuarto de Colores”) and saxophonist Donald Harrison (“Iko Iko”) light a fire. Then along comes pianist Vijay Iyer with a knotty piece (“The Mad Hatter”) to fan the flames further before spoken word artist “Chilo” and DJ Logic blow the roof off, on an anthem of Puerto Rican pride (“They Came”). Underneath it all, the Afro-Latin Jazz Orchestra keeps the pressure on, driving each guest and soloist to be at the top of their game. Give us more like this Arturo. Please! Promises to Burn – Janice Borla Group (Tall Grass) Every few years, Janice Borla, IMO, one of the finest pure jazz voices alive, takes a break from her busy schedule of teaching, clinics and jazz camps to record a new album. In doing so, she reminds me of what I find so interesting about her artistry. There are many who can stand in front of a band and sing. Ms. Borla makes her voice an integral instrument in the band. Many singers use the appellation “voice” as an affectation, for Janice Borla it is a spot-on description. Oh yeah. In case you’re wondering, Promises to Burn is a terrific album. Ms. Borla and Co. take mostly unfamiliar instrumental works by jazz musicians such as Jack DeJohnette, Bob Mintzer and Joey Calderazzo and bring out their vocal best. The Puppeteers – The Puppeteers (Red) From 2006 through 2011, one of the best places in New York to check out jazz musicians as they tried out new ideas was Puppet’s Jazz Bar in Brooklyn. There, owner/drummer Jamie Affoumado and many other musicians found a more friendly environment than existed on most of the tough NYC club scene. It was also there that Mr. Affoumado first teamed with bassist Alex Blake, pianist Arturo O’Farrill and vibraphonist Bill Ware to jam. After the club’s closing, Mr. Affoumado teamed with attorney Dana Hall to form Puppet’s Records. The label’s first release is an album by the four musicians, who call themselves, appropriately, The Puppeteers. It is an auspicious debut, with each member of the collective contributing at least one tune and innumerable ideas, learned from all of their years on the scene working with musical heavies from Randy Weston to Steely Dan to Jaco Pastorious and beyond. 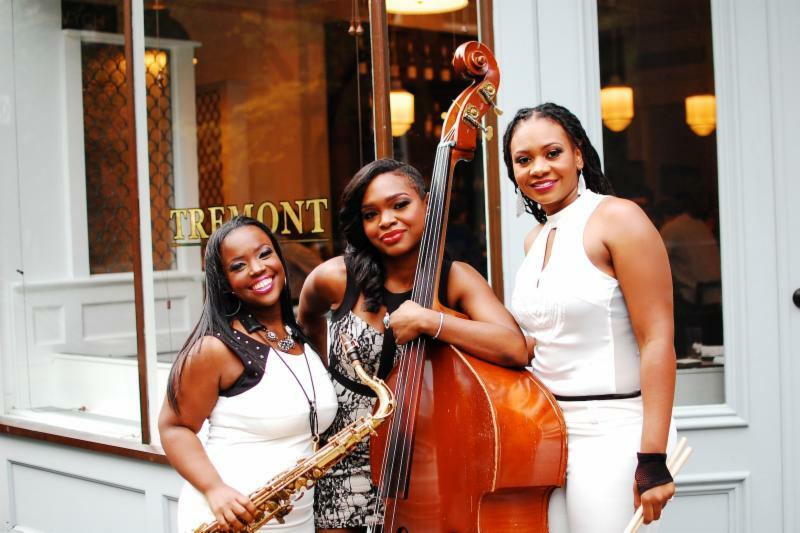 Their sound is definitively jazz but with the groups pedigree, there are strong notes of Afro-Latin, soul and even a little rock in the mix. Whatever it is, it works. Looking forward to what’s coming from Puppet Records and The Puppeteers. Questioned Answer – Brian Lynch & Emmet Cohen (Hollistic Music) Trumpet master Brian Lynch first met the young pianist Emmet Cohen on the 2011 Jazz Cruise, where Mr. Lynch was featured and Mr. Cohen was showcased with a trio from the U. of Miami, where he was an undergrad. As fate would have it, a few months later, Lynch became a trumpet professor at The U. They began to play and practice together on a regular basis as a duo, sharpening the musical bond that they had first recognized on the cruise. After about a year of shedding, they recorded this album, which was finally released this year, thanks to generous Kickstarter support. Consisting of duo and quartet (w/ Billy Hart and Boris Kozlov) performances, the album is another feather in the cap of Lynch, who just keeps getting better. It is also an exciting debut by young Mr. Cohen who possesses great facility and an astuteness that is way beyond his years. I can hear what impressed Mr. Lynch so much on that cruise. Relentless – Michael Dease (Posi-Tone) I should have seen this one coming but it still caught me by surprise. 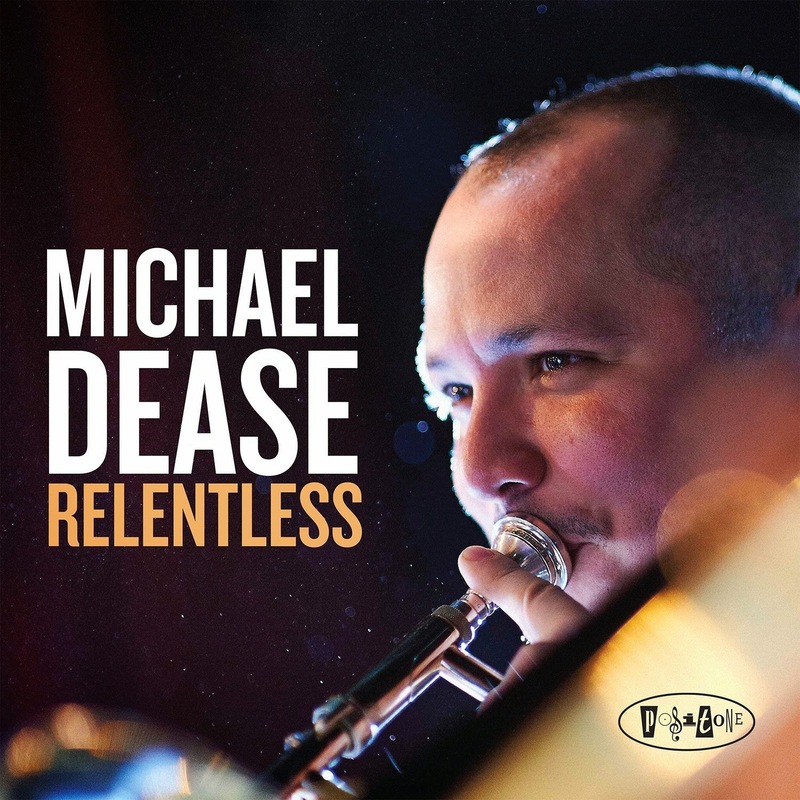 Trombonist Michael Dease has done some fine work before, releasing four impressive albums as a leader of small groups. He has also been in the trombone sections of big bands led by Roy Hargrove, Jimmy Heath, Charles Tolliver and others, sometimes handling the arranging chores. So it’s a natural progression for this 32-year-old Georgian to take his best arrangements and put them on display in his own big band. The charts are complex, strong and they swing like mad. Mr. Dease has learned his lessons well and put them to good use. Our next post will include the final five albums on our alphabetical list. The Art of Conversation – Kenny Barron and Dave Holland (Impulse!) – You know that this record could not be anything but good, with two of the best in the business doing their thing. But it goes further as they approach every track with such emotional investment that the album manages to be great. A nice mix of compositions by the leaders, with a few jazz classics keep everything from sounding alike. These two gentlemen have just completed a tour in support of this music. Hopefully there will be another recording coming soon. Beautiful Life – Jimmy Greene (Mack Avenue) – This album was the most emotional listening experience for me this year. As many know, saxophonist Jimmy Greene’s 6-year-old daughter Ana, was one of the 20 children murdered at Sandy Hook Elementary School, two years ago. Mr. Greene has turned the wrenching heartbreak of this unspeakable tragedy into the best album of his career. Anything but solemn and mournful, Beautiful Life is a brilliant and often uplifting remembrance with guests such as Kenny Barron, Kurt Elling, Pat Metheny and Cyrus Chestnut giving their all in musical support. Bring it Back – Catherine Russell (Jazz Village) – The daughter of Luis Russell, who was Louis Armstrong’s longtime bandleader, and Carline Ray, who sang and played bass and guitar with the International Sweethearts of Rhythm during WWII, this former backup singer for David Bowie and Steely Dan, who didn’t record her first solo album until her mid ’40’s, reached her full potential with this album. Using the works from her parent’s heyday as a starting point, Ms. Russell respects the swing tradition while imbuing the proceedings with a modern blues sheen. Her voice has the gritty edge of a woman who has been around but it’s leavened by a youthful lightness that shines through on the uptempo numbers. I admit to having missed her before now, but after this disc I will catch up because Catherine Russell is the truth. Eight Track – Dave Stryker (Strikezone) – Veteran guitarist Dave Stryker and his organ-based trio rework some great pop and soul tunes of the seventies into a pure soul-jazz groove. What elevates this date above average fare of this type is the total investment of the trio and the stellar work of guest star Stefon Harris on vibes. Guitar, organ, vibes and drums is not standard instrumentation these days (think back to Big John Patton’s Let ‘Em Roll for a great example) but these cats make it shine. It’s all great but the “Superfly/Pusherman” medley is a damn classic. Smooth Jazzers take note. This is how it’s done. Tracks from these and all of the other Best Jazz of 2014 Selections may be heard on Curt’s Cafe Noir Streaming WebJazz Radio starting December 27 and continuing throughout January of 2015. Click HERE to access the station. Our next post will discuss the next five alphabetical selections in our Best Jazz Albums of 2014 list.